Solitaire for Two társasjáték - Magyarország társasjáték keresője! A társasjáték érték! A Solitaire for Two egy nagyszerű társasjáték, 1 - 4 játékos részére, az átlagos játékidő rövidebb, csak 30 - 45 perc. A társast, 13 éves kortól ajánljuk kipróbálni. Solitaire for Two includes two games: one called Six-Suit Solitaire that was originally released as Indochine 2000, and a second titled Solitaire for Two that (despite the title) can be played with 2-4 players. Six-Suit Solitaire is a modified version of the solitaire game Klondike, with six suits in the game instead of four as well as three jokers (one in each color). 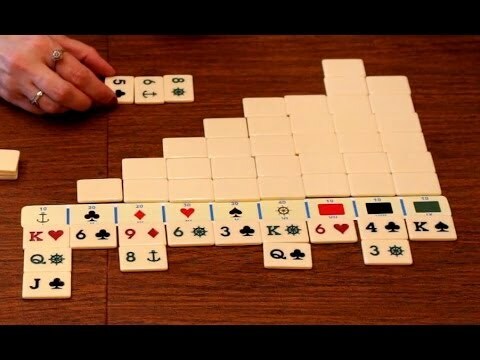 As in Klondike, players try to remove all tiles from play by creating stacks from Ace to King, but unlike in Klondike players have an incentive to keep Aces in play rather than removing them; if a player has one Ace in play, then he can move Queens to empty columns in addition to Kings, and with two or more Aces in play he can also move Jacks to empty columns. A player can place only the rightmost tile in the "talon" – the row of exposed tiles from the stock – but if he cashes in a joker, he can move any tile in the talon to the rightmost position. 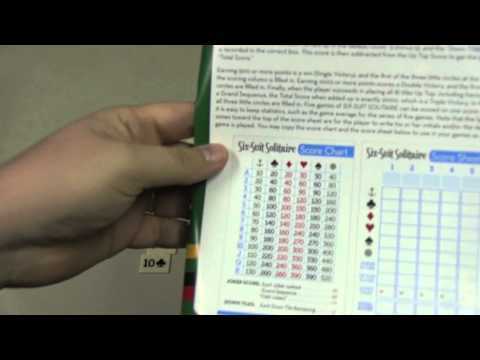 Solitaire for Two plays similarly to Six-Suit Solitaire, but the players take turns drawing tiles from the stock – three at a time – and trying to place them in the layout and score as many tiles as possible. Players score points for each tile they lay off; for playing all three tiles drawn; for moving columns of five, seven, nine or eleven tiles; and for other specialized situations. The player with the highest score wins.